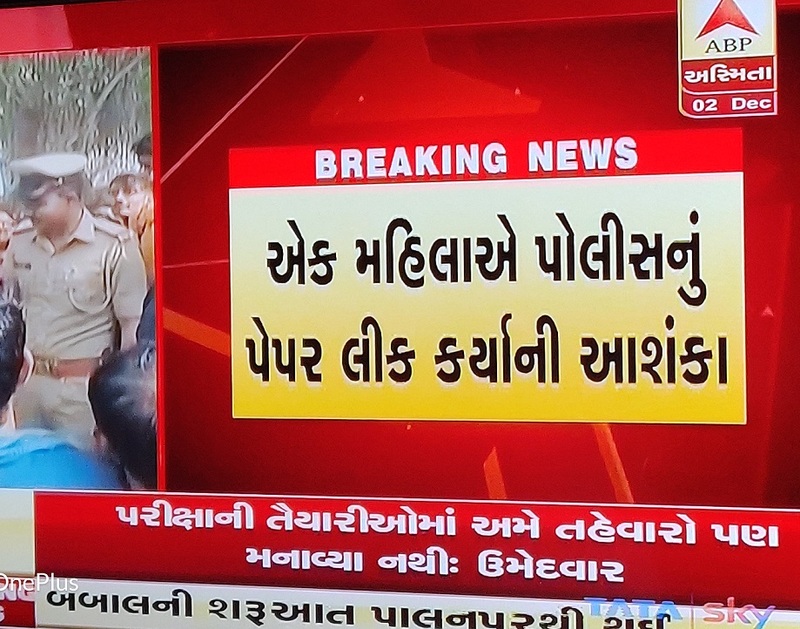 Big Breaking News Live Updates about Gujarat Police Bharti : Lokrakshak, LRB Gujarat Police Constable Bharti Exam has been Cancelled by Official Authorities due to Paper Leak and gone viral in Whatsapp & other Social Media Platform. Gujarati News Channels Like TV9 Gujarati, GSTV, ABP Asmita, Zee News 24, Sandesh News Channel, News 18 Gujarat Confirmed News about Police Bharti Exam Cancelled due to Paper Leaked before Few hours of Written Examination. News Reports Told several Teachers and Officers are Involved in this Paper Leak of Gujarat Police Lokrakshak Bharti.